So cool – I didn’t realize that wheel chairs used the same voltage as cars. It is good to know. A picture is worth a thousand words ~ this made me smile, thanks. Wow, this is so amazing! 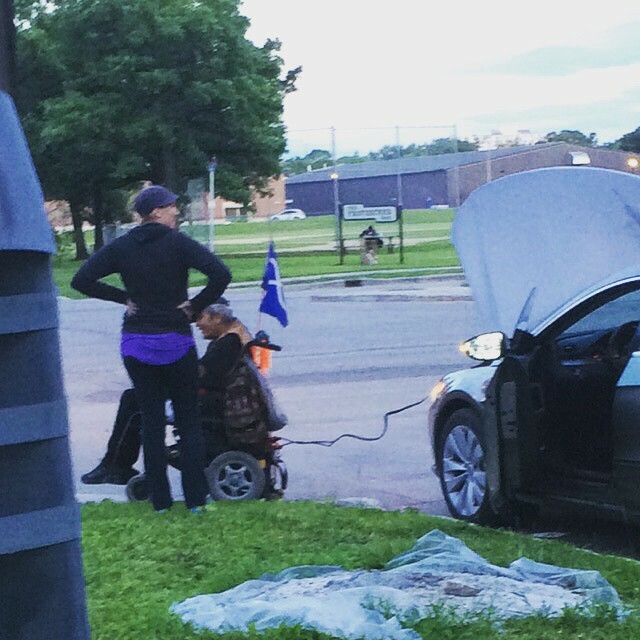 I love it when busy people stop and help someone else in need. So, so so amazing! Great picture of a lovely moment.